100% Biodegradable and plastic-free lunch box for kids made from organic rice husk with cute panda design. 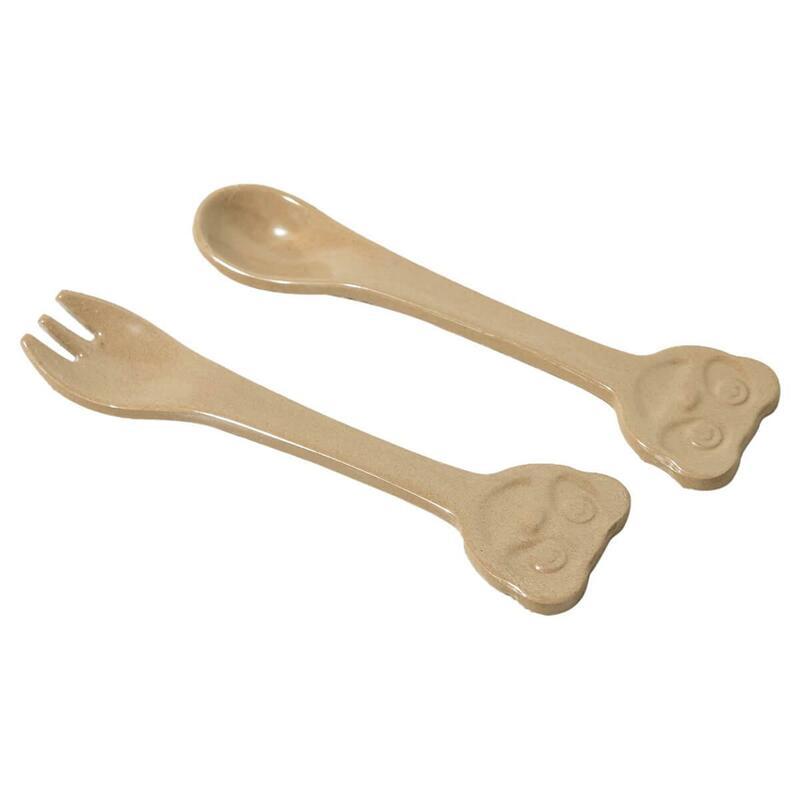 It has a natural colour with green rice grain and food grade silicone seal. 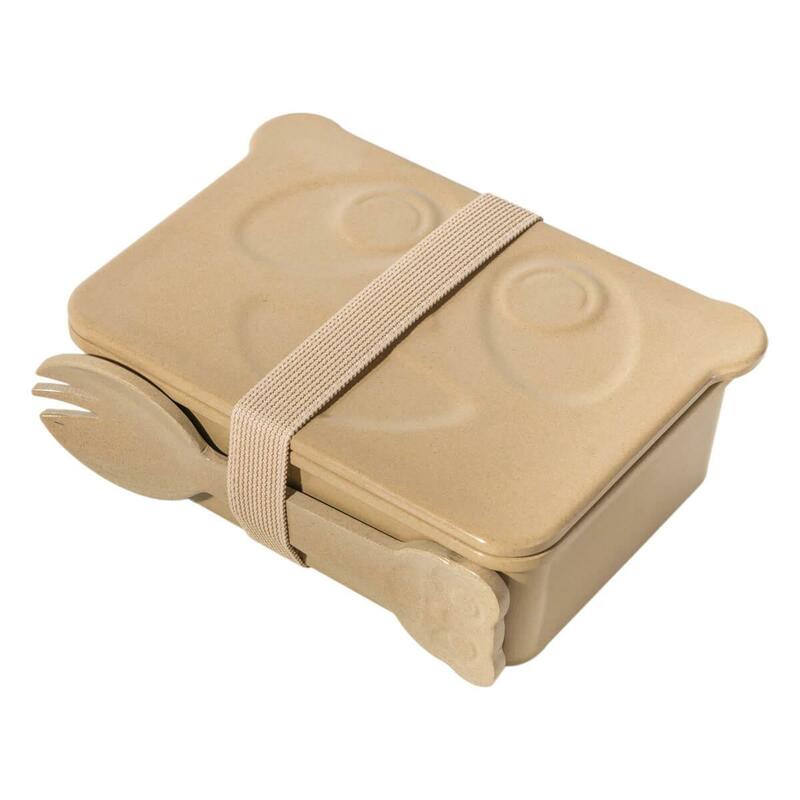 Each zero waste lunch box includes as standard a kids spoon and fork spork, box strap and removable divider, perfect for school lunch boxes. 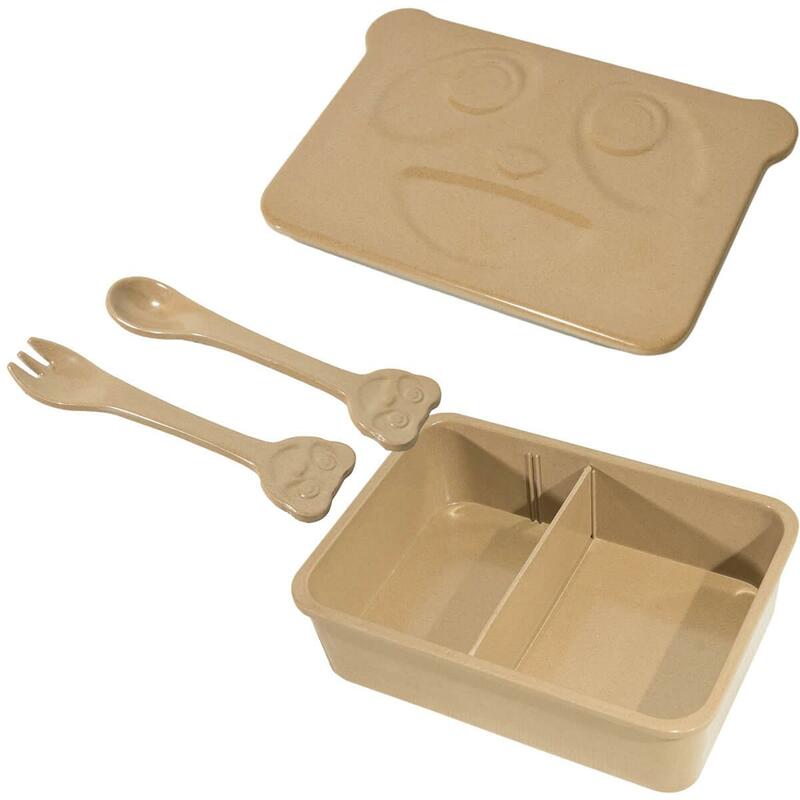 It made with non-toxic and BPA free materials and it easy to clean, grease-proof and leak-proof. It is also dishwasher safe, oven/microwave safe and freezer safe, making it a very versatile food container. 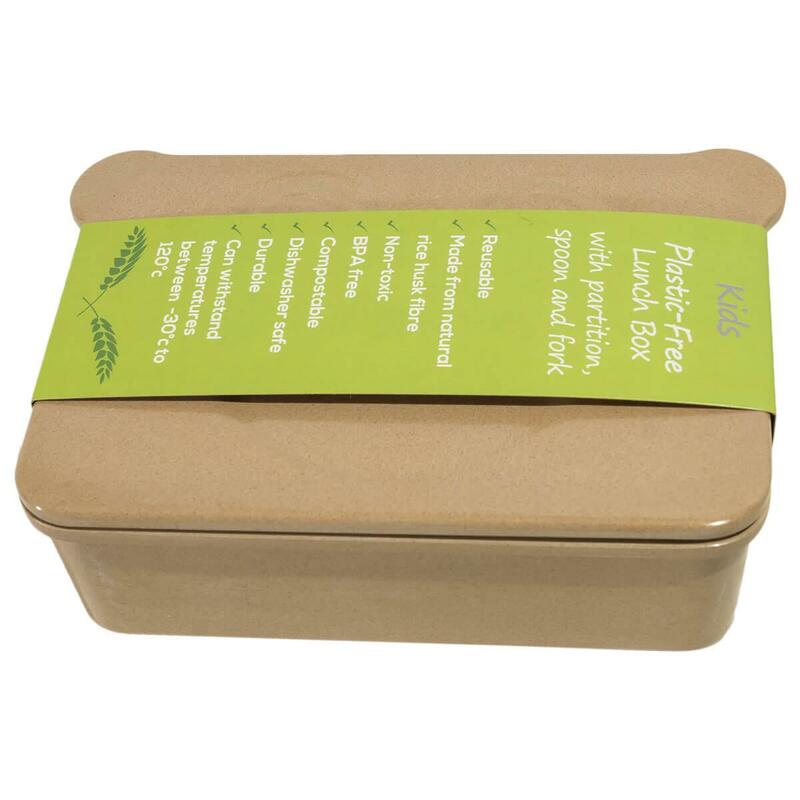 Please note - These lunch boxes are made from biodegradable rice husk fibre held together with a naturally occurring binding agent made from plants. It is moulded at a very high temperature creating a durable surface that looks and feel like plastic but please dispose of them correctly. Handle them with love and they will last for years. When discarded into landfill or your compost heap, it will biodegrade fully within 180 days. Materials - Rice husk and Silicone. Nature & my make eco-friendly everyday items for the whole family that are both good for our environment and health. The company was started after the founder, Frances, had her first child and discovered most of the products they were using were toxic or harmful to our environment. Frances and her husband James started to research green alternatives and they now have created a wide range of innovative ethical and zero waste products which are highly functional and help reduce waste. Delivery Packaging - Kraft paper, biodegradable bubble wrap or compostable packing nuggets with eco parcel tape.